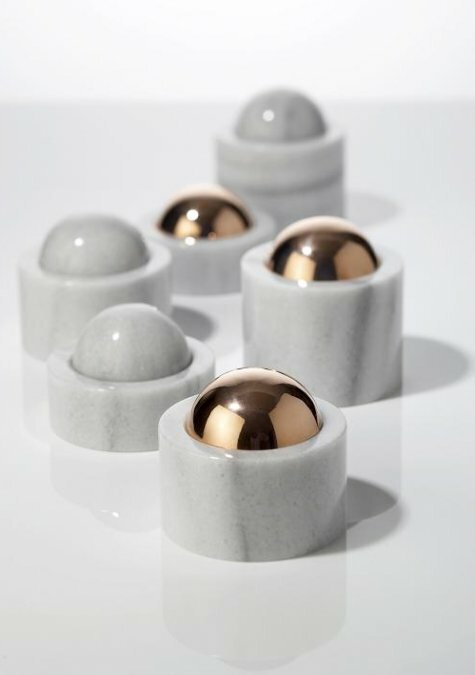 We are delighted to announce the participation of Istanbul-based toz design, along with 54 international makers, in LOOT: MAD About Jewelry 2019 from 9 - 13 April at the Museum of Arts & Design in New York City. 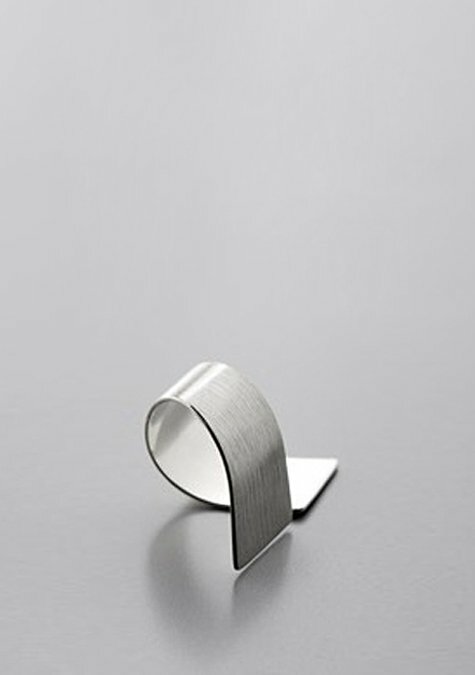 LOOT is an annual exhibition that introduces remarkable number of emerging and renowned international jewelry artists. Now in its 19th edition, LOOT is testimony to the museum's commitment to collecting and exhibiting jewelry as an art form. 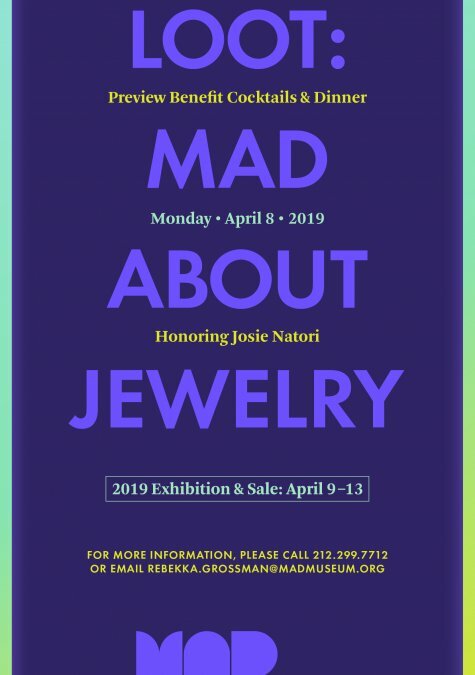 MAD is the only American museum that maintains a gallery devoted to the exhibition of temporary jewelry shows, as well as its own extensive collection of contemporary and modern studio and art jewelry. toz designer Leyla Taranto will showcase Remains, her inventive limited-edition series of pins and brooches, necklaces, earrings and cufflinks fashioned from discarded pieces of wooden picture frames. 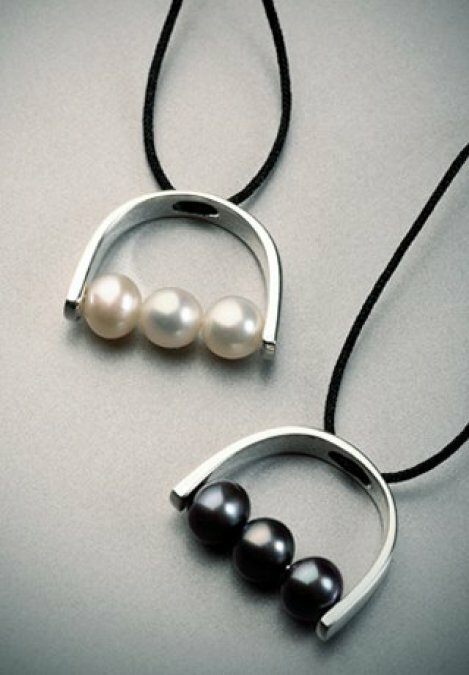 Visitors will be able to purchase artist-made jewelry at the show and meet its creators who will be on-site at the exhibition throughout the week. 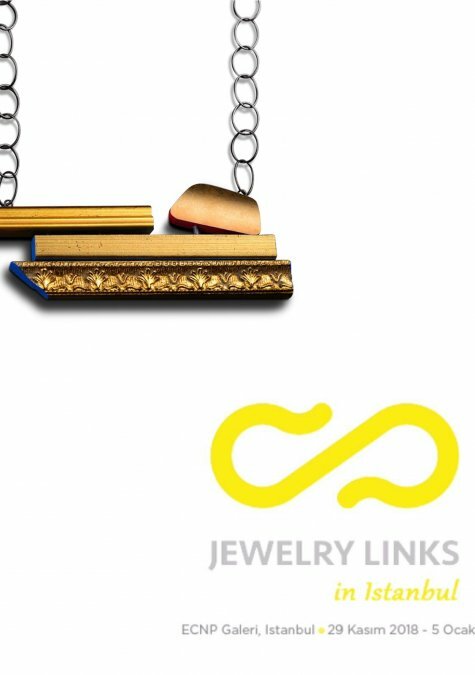 JEWELRY LINKS HAS ARRIVED AT ITS HOME TURF! 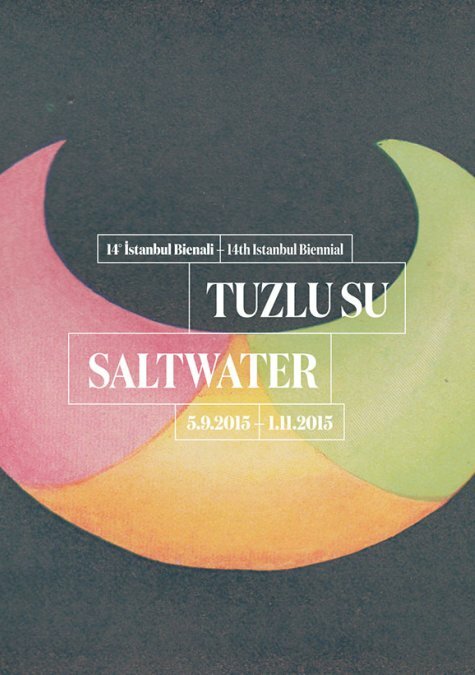 Our 4th exhibition as Jewelry Links the Turkish Contemporary Jewelry Collective will take place at Istanbul. 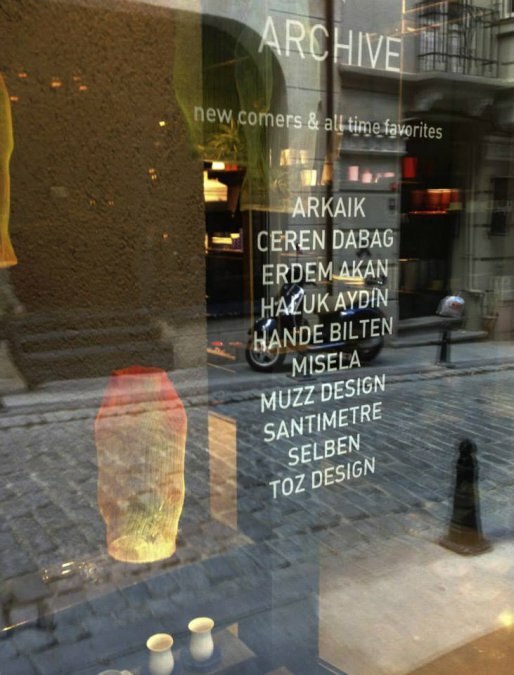 Our collective formed by 14 designers, aims to promote Turkish contemporary jewelry in Turkey and abroad. We are more than happy to invite you to this fourth exhibition of Jewelry Links at ECNP gallery. 29 November 2018 - 5 January 2019. 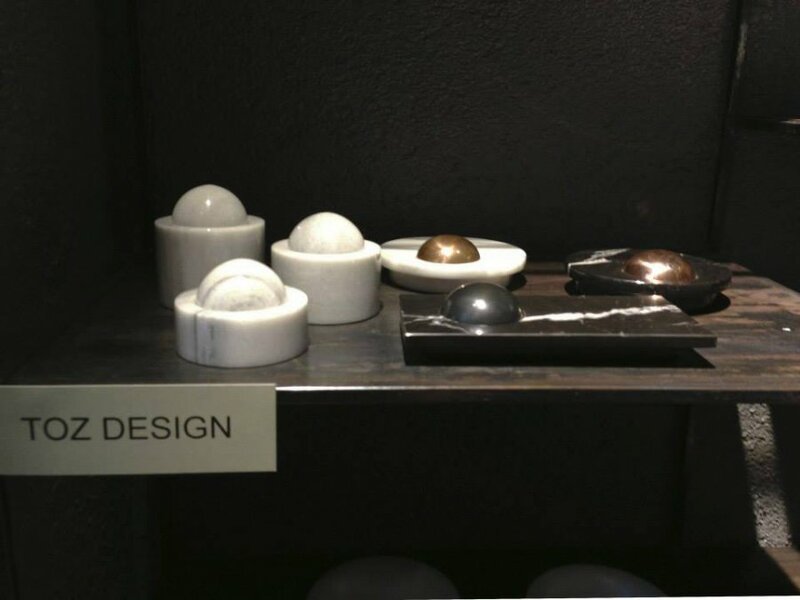 DOME CANDLE-HOLDERS AT DESIGN WEEK TURKEY – 2018! We are proud to be selected for this year’s Design Week Turkey for their fantastic “Genetic Codes of Turkish Design” exhibition with our 2009 “Dome” candle-holders –a fruitful collaboration of Koray Ozgen (Paris) and Leyla Taranto (toz design – Istanbul). Come and visit us at İstanbul Haliç Congress Center and stay for the many stimulating talks and panel discussions. 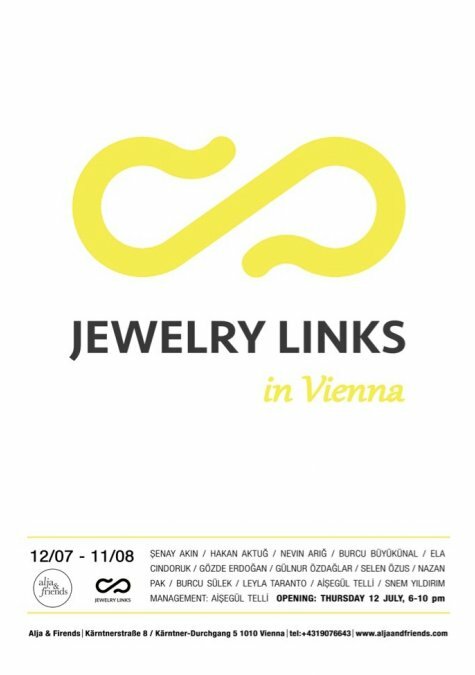 The third exhibition of Jewelry Links is at Vienna! 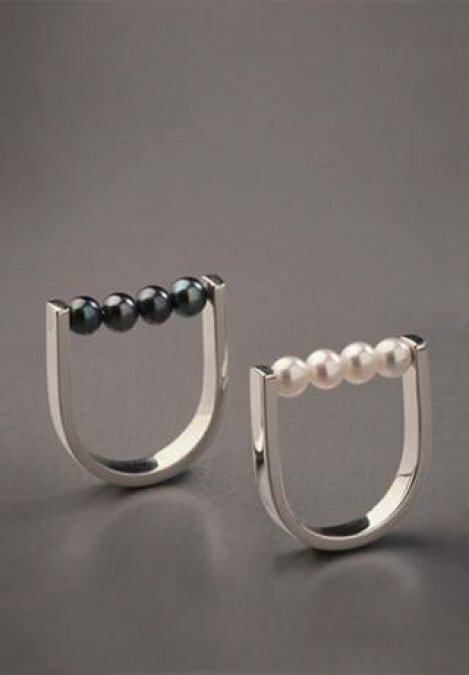 With this show, we are pleased to announce the third exhibition of Jewelry Links –the Turkish contemporary jewelry collective, of which we are a member. 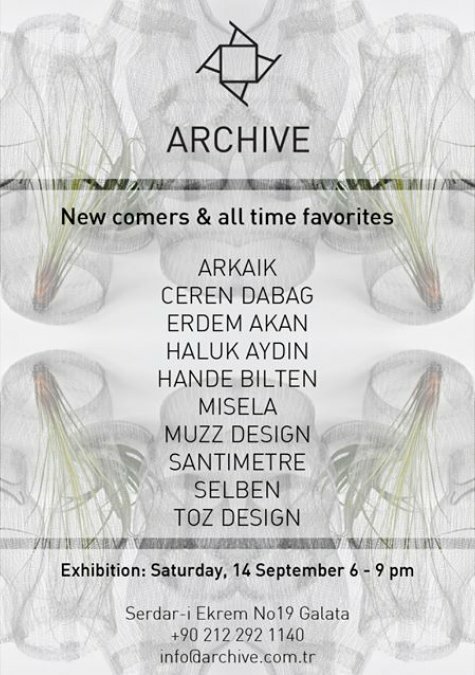 Come and view work of 13 distinguished Turkish designers with creative ideas at this music filled magical city. The exhibition will be at Alja&Friends contemporary jewelry gallery from12th July till 11th August. 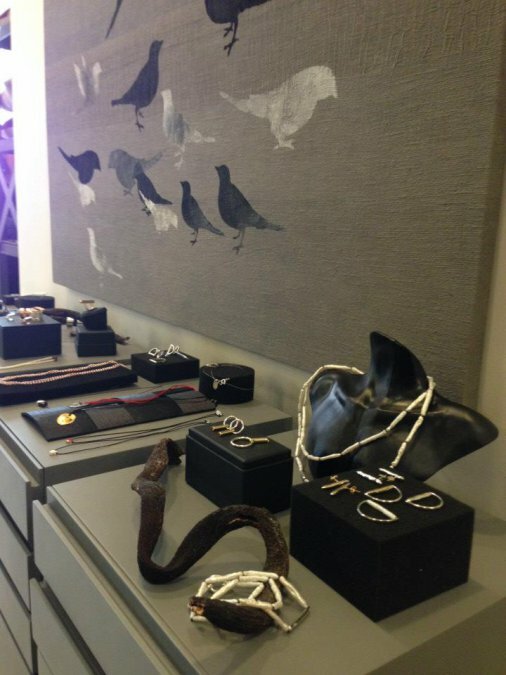 The second exhibition of ‘Jewelry Links is at Melting Point Valencia Contemporary Jewellery Biennial. We are pleased to announce the second exhibition of the Turkish Contemporary Jewelry Collective ‘Jewelry Links’ will take place in Valencia from 26 April through 29 April 2018. The Melting Point 2018 Valencia Biennial brings together contemporary jewellery designers with the mission of presenting the richness and diversity of contemporary jewellery. We have the great pleasure to invite you to join us on this celebration of exhibitions, conferences, activities and performances which will be spreading throughout the city of Valencia!. 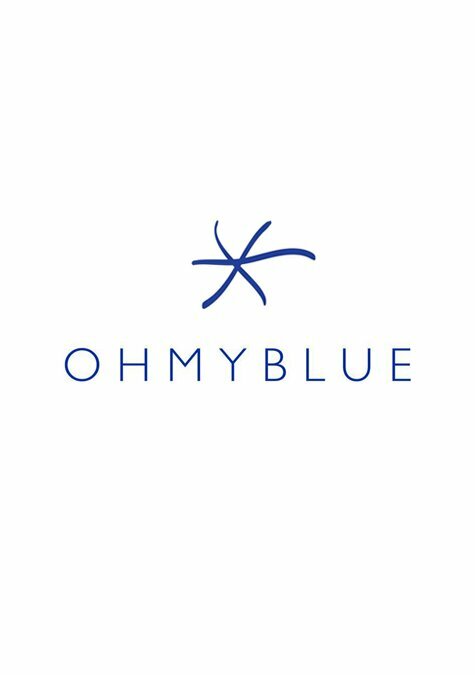 Opening day and time: 26 April 2018 – 1600 hrs. 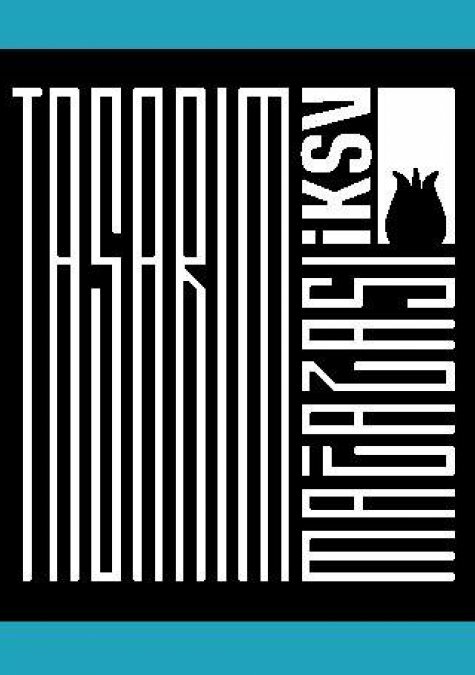 We are delighted to announce that toz design will participate in the Muğlak Alan (Grey Area) exhibition, curated by Nilgün Yüksel, from 19 April to 10 May 2018. The exhibition will bring together work by more than 35 artists and designers and include a work from Leyla Taranto’s Remains collection. 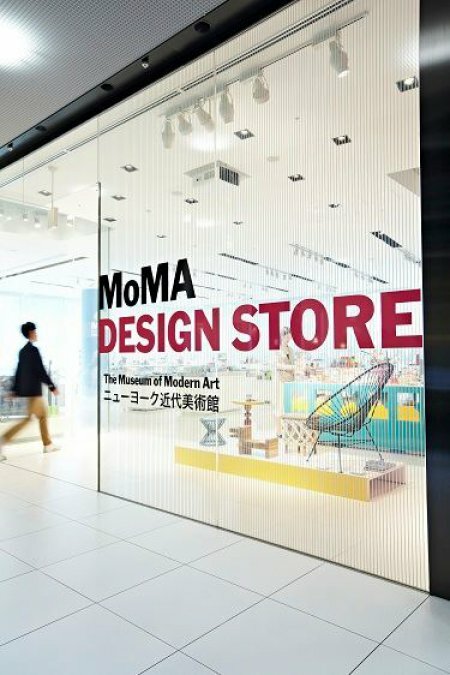 Bringing together diverse materials, production methods and disciplines, it will question the ambiguous relationship between art and design today, as artists and designers increasingly cross in and out of each other's creative realms. The exhibition will ask questions that include: Is a one-off object produced by a designer still a 'design' object? How does the use of a functional object in artwork change how viewers perceive it? And, when a design object is placed in a white cube, does it then become an object of 'art'?" The ‘Jewelry Links – Mücevher Buluşturur’ exhibition brings together 13 contemporary Turkish jewellers. 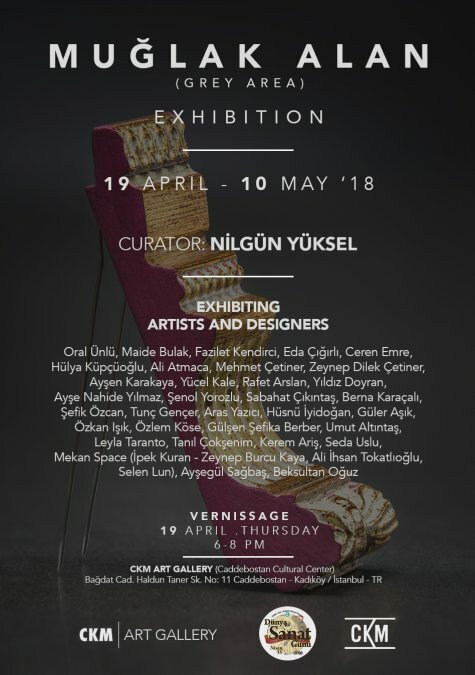 With this show, we are pleased to announce the debut exhibition of ‘Jewelry Links’ -the Turkish Contemporary Jewelry Collective, of which we are a member. 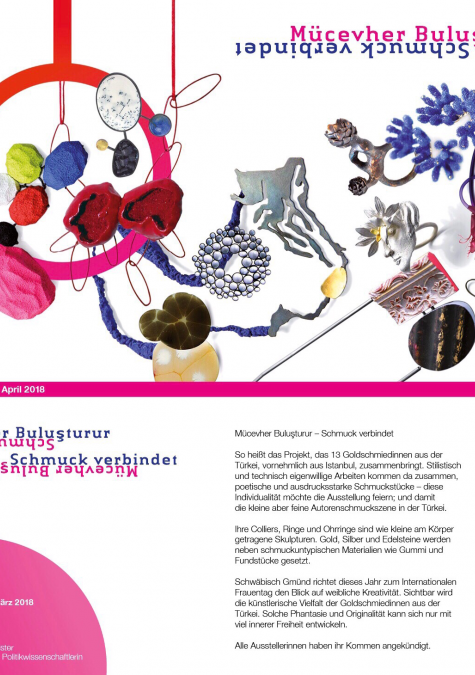 Synthetic sponge, porcelain, wood, plastic, silicone and polyurethane are the non-typical materials used by 13 Turkish jewelry artists to make the precious adornments on view at the “Jewelry Links” exhibition in ’Labor im Chor’ Schwabisch Gmünd Stuttgart from March 8 – April 7, 2018. 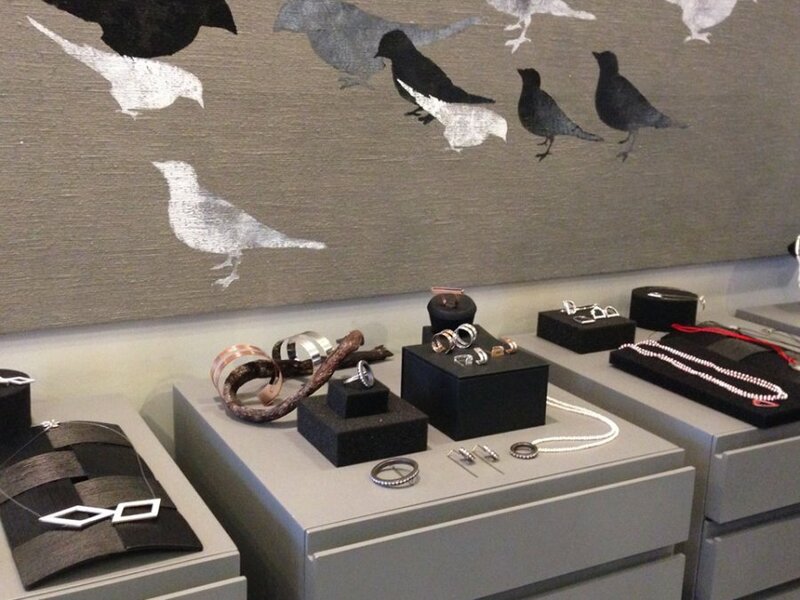 The show is the result of a collaboration between 'Labor im Chor’ gallerist Alkie Osterland and jeweler Senay Akin. 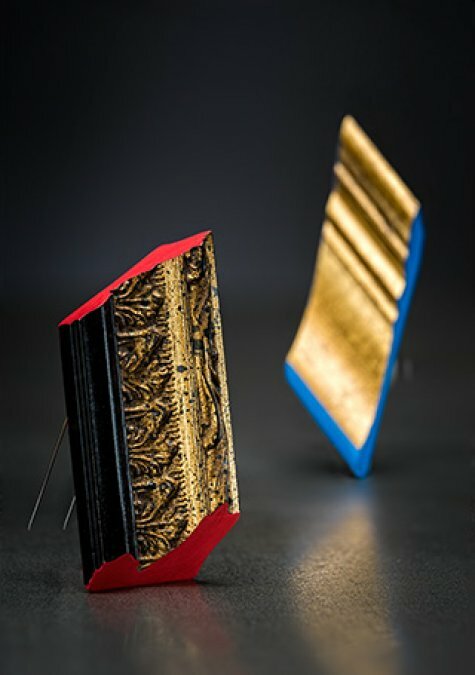 The two have united the work of Turkish jewelers from diverse generations and backgrounds for this exhibition, which now introduces a body of stylistically and technically idiosyncratic pieces. In the process, the alliance of the 13 artists evolved into an independent, long-term contemporary jewelry collective that comes together under the rubric "Jewelry Links", the title of their first group show.As well as demonstrating continuing experimentation with unconventional materials, and their combination, at times, with precious materials, the show offers a look at some of the current trends that are animating Turkey's contemporary jewelry scene. 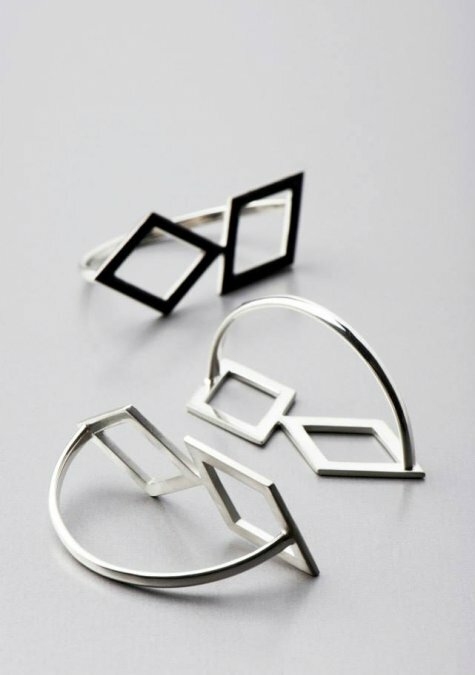 The artists, who are all exhibiting at the Labor im Chor gallery for their first time, will also take part in “Melting Point”, the international contemporary jewelry show in Valencia between 26-29 April. The exhibition will also go up at the ECNP Gallery Istanbul in the Autumn of 2018. 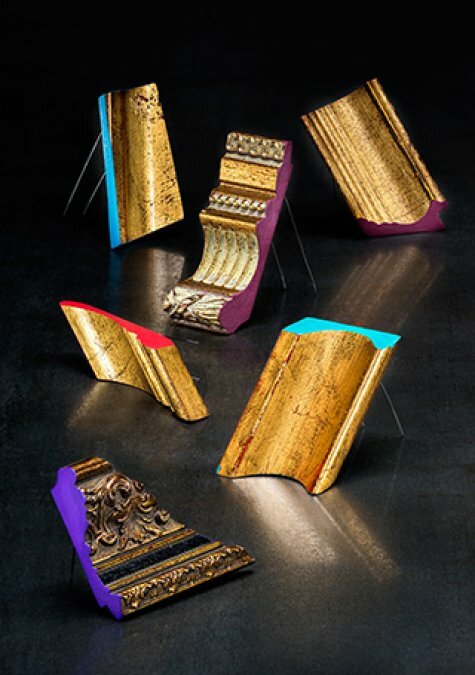 Highly praised jewellery collection REMAINS by designer Leyla Taranto of toz design remains on view at VENICE DESIGN 2017 through November 26, 2017. 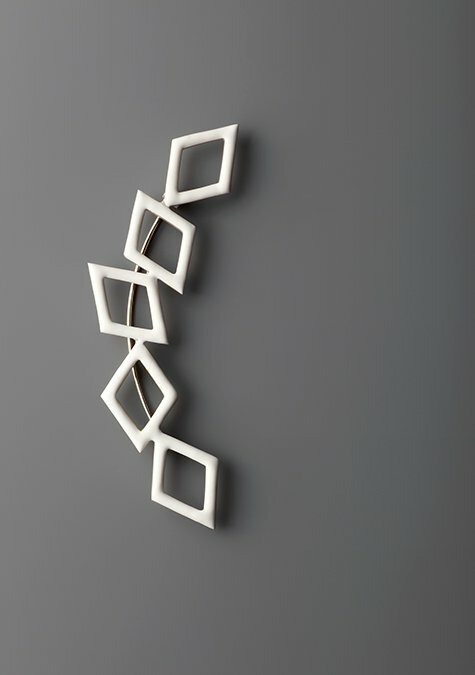 One of the first contemporary jewellery designers invited to participate in Venice Design 2017, Istanbul’s toz design continues to showcase Remains, her inventive collection of brooches and necklaces fashioned from discarded pieces of wooden picture frames. The exhibition presents the innovative ideas of more than 50 artists and designers, hailing from 20 countries around the globe. We are delighted to announce that for the first several months of the six-month show, toz has been receiving the kudos of international visitors for its unconventional material concept and the high quality of its craftsmanship. Visitors can view the exhibition, including Remains, through November 26, with early fall being the most idyllic time of year to visit the city of Venice. Toz invites you to experience the multicultural design exhibition in the context of the historical city and the concurrent Venice Art Biennial, which also runs through November 26. 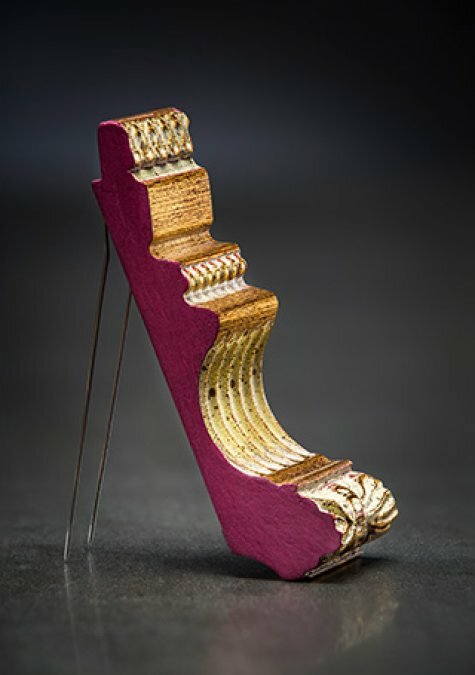 Leyla Taranto salvaged the decorative scrap wood that she used to create the Remains brooch and necklace collection from the floor of an Istanbul frame shop where framers had discarded scrap left over from the crafting of custom frames. After research and experimentation in the wood workshop, she gave the embellished fragments form and, as she was working with only a small supply of production leftovers, made many of the pieces one of a kind –unique, or part of limited editions. 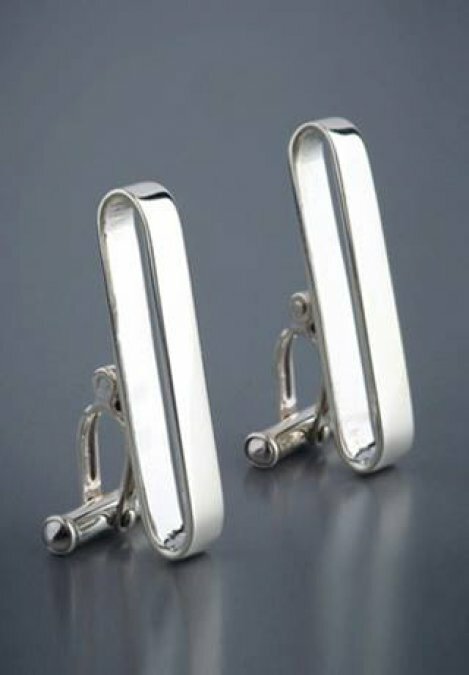 The wood that would have served as a window onto an artwork and carried on a dialogue with both the art and the viewers of that art, now, as jewellery, carries on a dialogue with the wearer’s body. 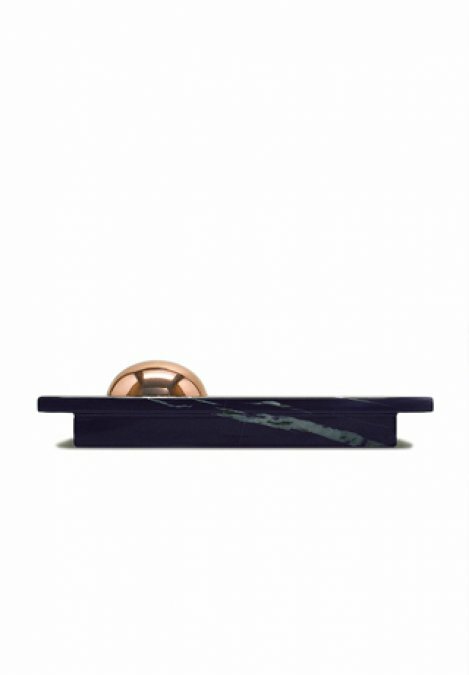 Taranto’s act of renewal has given the pieces new life and enabled the parts to recover a wholeness all their own. In return, the scraps allowed Taranto to explore the nature of “value”, a theme that she has touched on previously in her work. Although Taranto often uses traditional materials and techniques, she also incorporates or relies entirely upon non-traditional techniques and materials like rubber, packing foam or, in the case of Remains, discarded wood. Through a series of creative choices, she elevates so-called “low” materials, imbuing what was once considered disposable with conceptual, emotional or creative -instead of merely material- value. toz design with it's REMAINS collection will be at VENICE DESIGN 2017! We are delighted to announce that designer Leyla Taranto of toz design is participating to Venice Design 2017. The exhibition, which will coincide with the Venice Art Biennale, will be from May 13 through November 26. 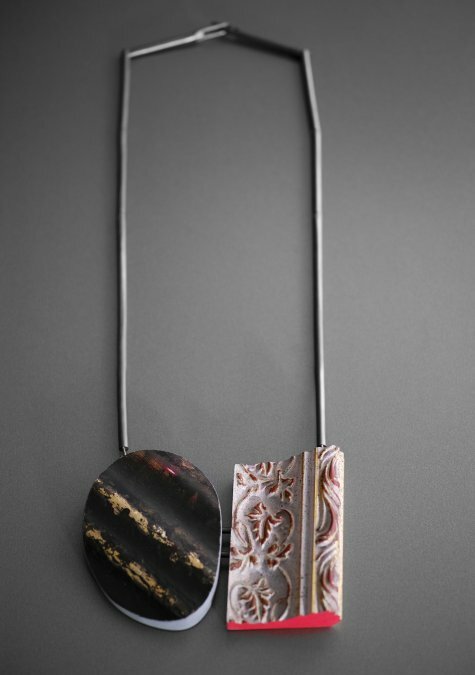 Taranto will showcase her Remains collection of brooches and necklaces, fashioned from discarded pieces of wooden picture frames. The exhibition will explore the theme Time-Space-Existence. 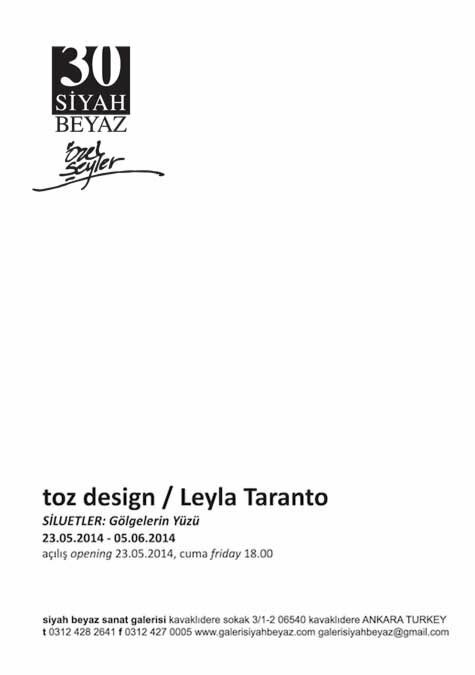 Leyla Taranto of toz design has been invited to exhibit at the international contemporary art fair Contemporary Istanbul (CI)’s new space dedicated to art and design for its 2016 fair. This first edition of "CI Design" has been an opportunity for Taranto to show her latest collection Remains, consisting of brooches/pins made out of production leftovers of wooden picture frames. 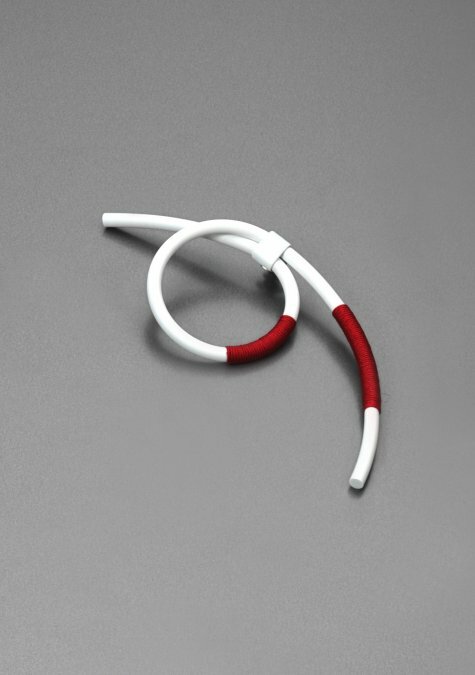 Say hello to summer with rubber jewellery. Leyla Taranto, designer of toz design has chosen the soft medium of rubber and intricate thread for her new collection, which includes necklaces and brooches.Individually, rubber and thread are thought to be modest materials but the combination of the two — soft white rubber paired with the intensity of colorful thread work — creates a captivating combination that greets summer and is sure to delight design lovers. The 6th annual BULUSMA shopping event is on this year on 16-17-18-19 December 2015 from 11:00-19:00 at the Bobbin Showroom in Nisantasi. 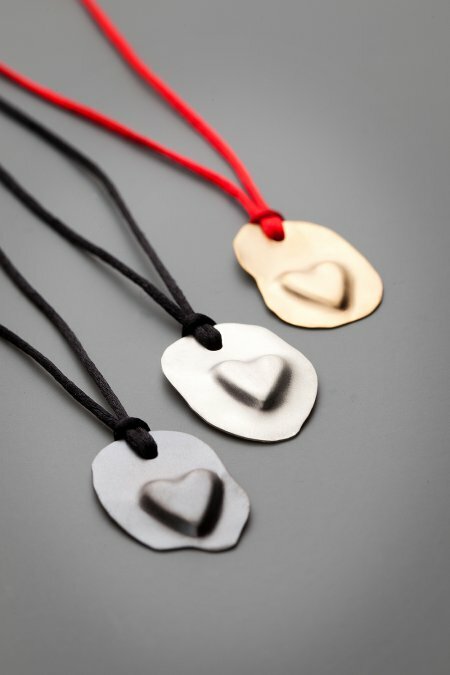 The New Years shopping event will feature Leyla Taranto-toz design with jewellery collections and new designs. Other designers at Bulusma this year include Dilek Aksu and her kaftan designs, Örge Tulga’s jewellery designs, Özlem Tuna's ceramic, object, jewellery and object designs, and ceramic designs from Mara Gülerşen. We hope to see you there, soon! Although the 14th Annual Istanbul Biennial has ended, due to great interest, the exhibition in Istanbul Modern, one of the 14th Istanbul Biennial venues is extended until 26 November. 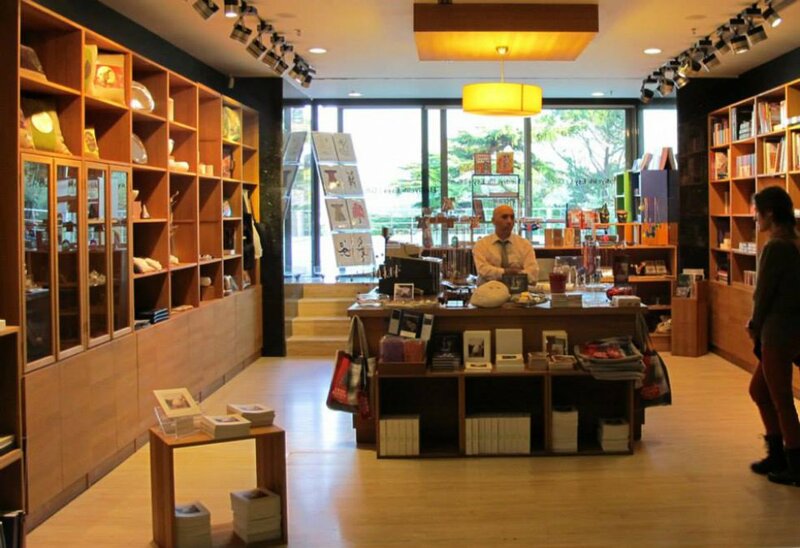 Therefore, you can still see the artworks related to the Biennial at the Museum with their redecorated museum store for your enhanced shopping pleasure. 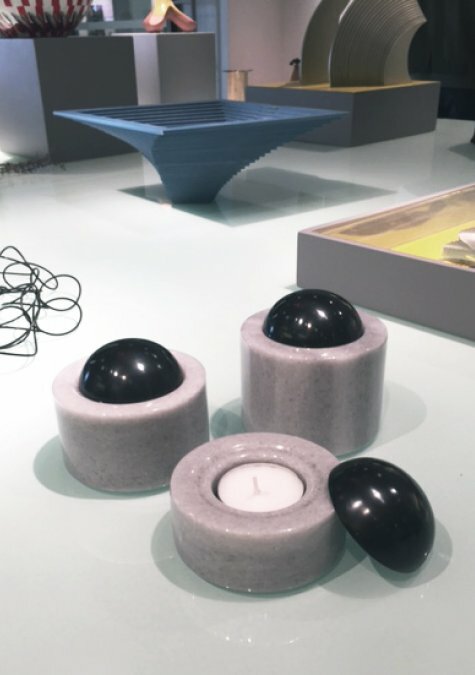 And it is our supreme delight to announce that toz design’s jewellery and marble candle holders are available at the store, too. 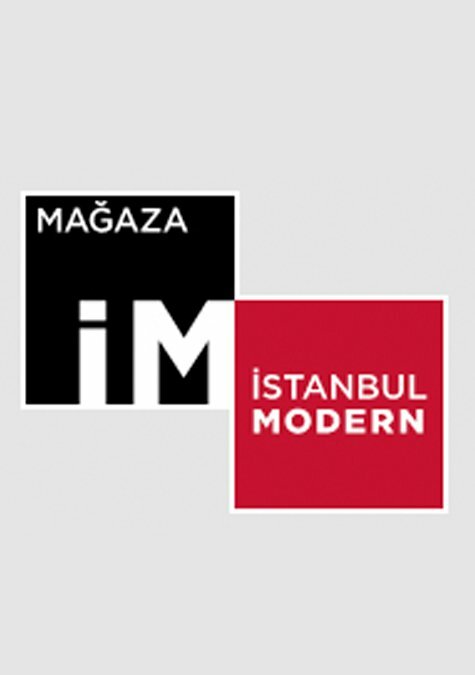 Be sure to check it out, if you make it to the Istanbul Modern Museum! 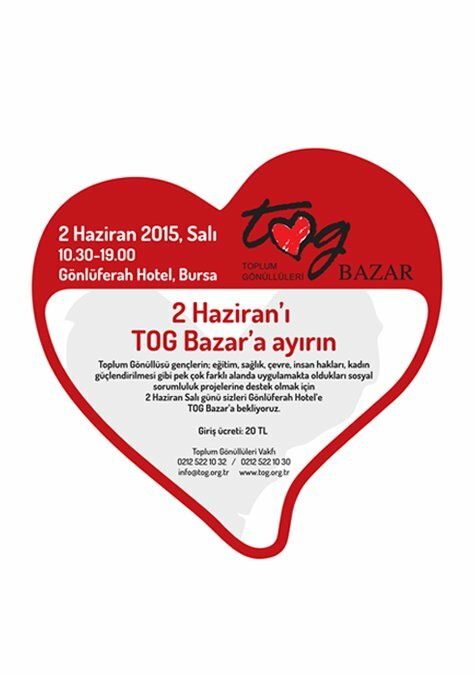 toz design will be at the TOG Charity Bazaar Bursa on 2nd June, 2015. TOG (Community Volunteers Foundation) contributes to the personal development of young people through encouraging youth to volunteer in social responsibility projects with the aim of increasing youth voluntary community involvement. This will be the first time that the TOG foundation has presence in Bursa. 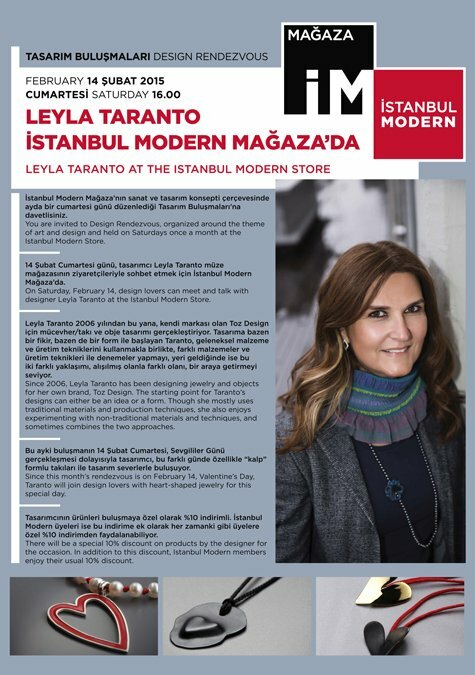 Jewellery designer, Leyla Taranto will be a featured guest at İstanbul Modern Museum Shop's monthly ‘Design Rendezvous’, which highlight topics and individuals in the field of art and design. February’s event will take place on the 14th, Valentines Day, and Leyla will be introducing toz design's romantic, ‘hearts collection’ to mark the occasion. 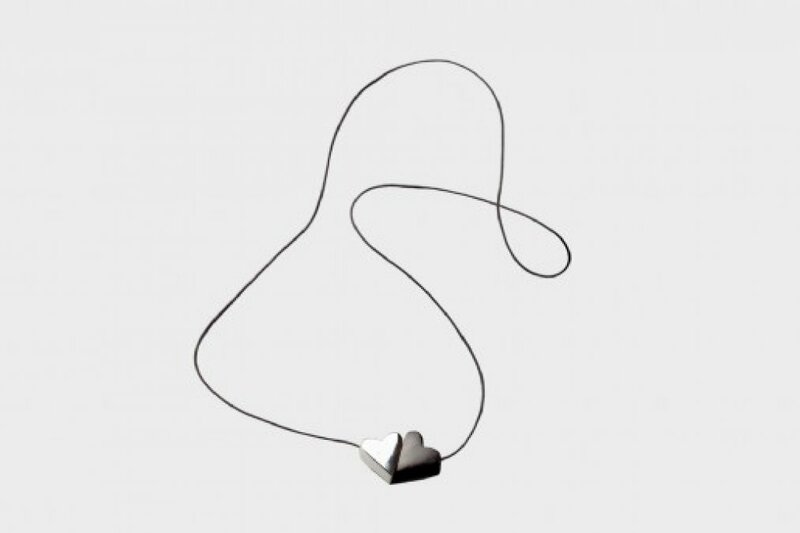 Each February, in honor of Valentines Day, Leyla adds a new piece to the intimate collection of modern, heart shaped jewellery, making a perfect gift for design lovers who wish to surprise their loved ones with an artistic symbol of love — or perhaps themselves! 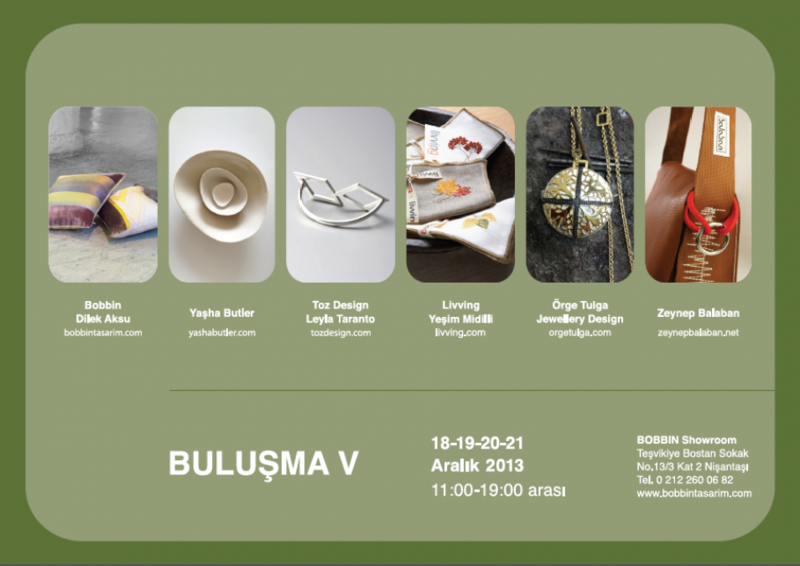 See you Saturday, February 14th at İstanbul Modern Museum Design Store, 16:00-18:00 hours! 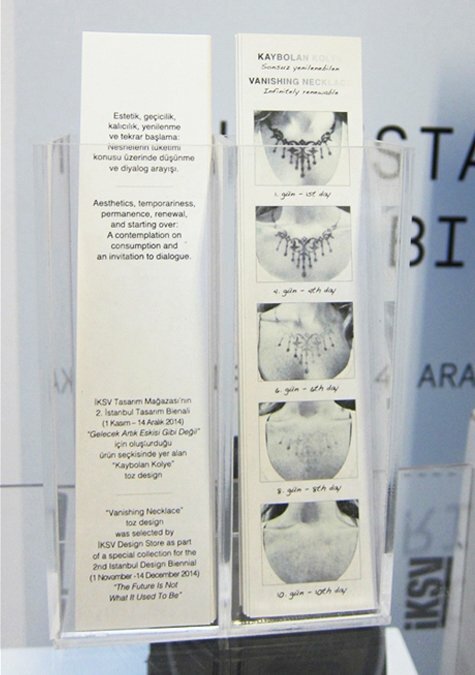 toz designs bookmark named "Vanishing Necklace" was selected by İKSV Design Store as part of a special collection for the 2nd Istanbul Design Biennial. 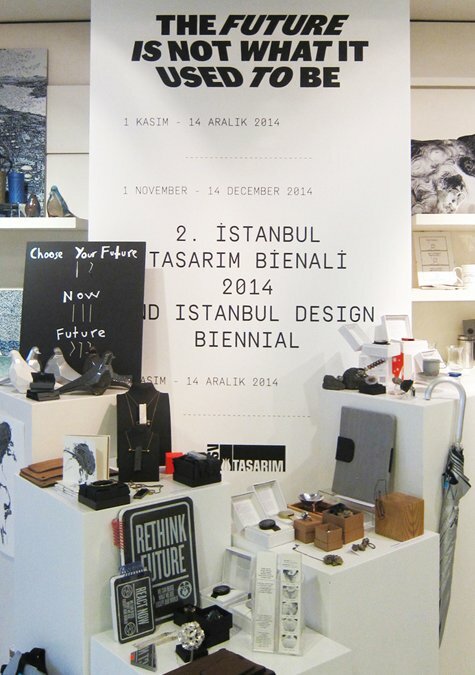 toz designs bookmark named "Vanishing Necklace" was selected by İKSV Design Store as part of a special collection for the 2nd Istanbul Design Biennial "The Future Is Not What It Used to Be". 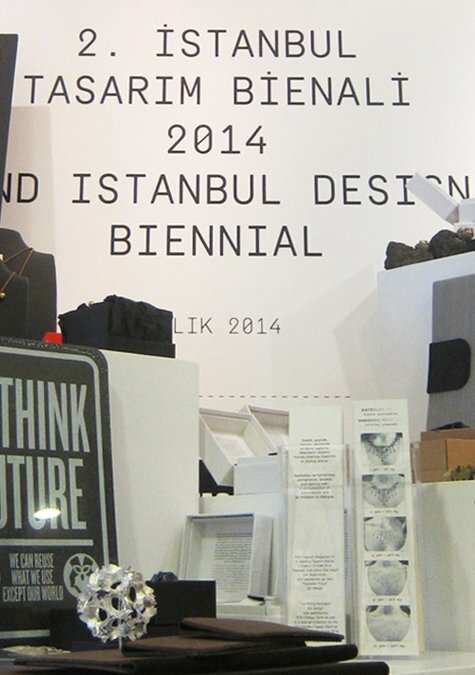 The bookmark can be found at the İKSV Design Store and the İstanbul Design Biennial exhibition area during the biennial. 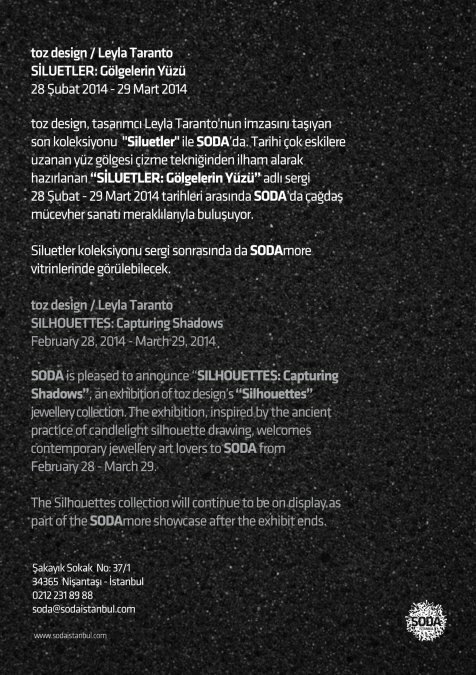 SILHOUETTES: Capturing Shadows exhibition of toz design’s Silhouettes jewellery collection is now in Ankara! 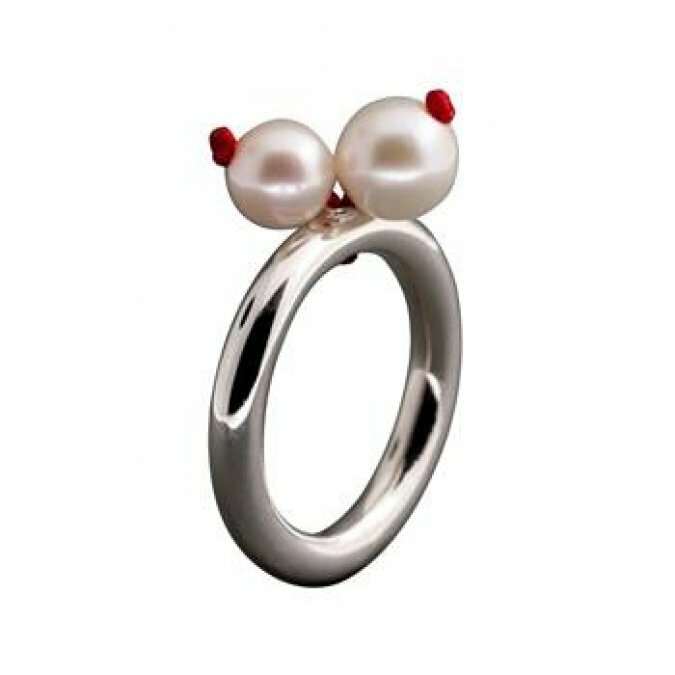 After a successful exhibition at Istanbul’s SODA gallery last month, the modern couture jewellery will now be available for art lovers who live in the capital. The exhibition will run from May 23 until June 5, 2014 at Siyah Beyaz Galeri with an opening reception May 23, 2014 Friday, 18:00. 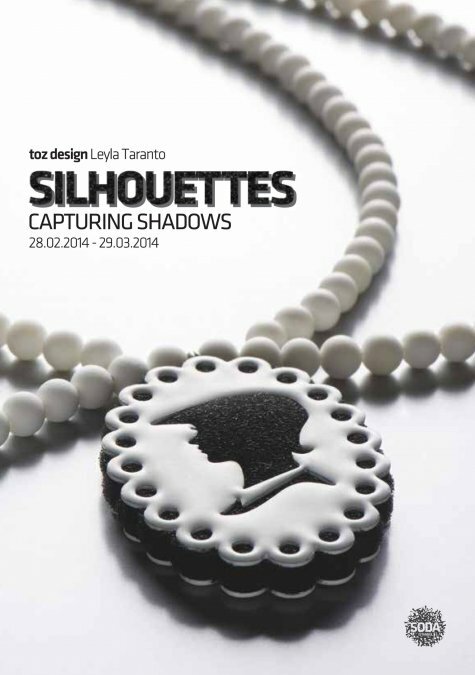 SODA is pleased to announce SILHOUETTES: Capturing Shadows, an exhibition of toz design’s Silhouettes jewellery collection. The exhibition, inspired by the ancient practice of candlelight silhouette drawing, welcomes contemporary jewellery art lovers to SODA from February 28 - March 29. 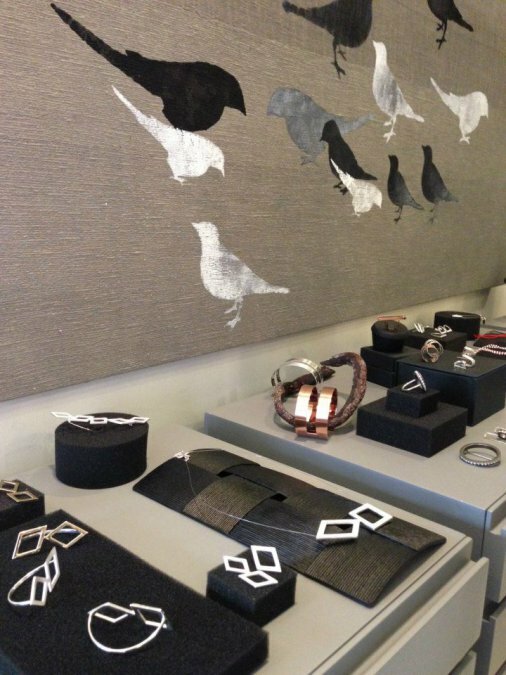 The Silhouettes collection will continue to be on display as part of the SODAmore showcase after the exhibit ends. Please join toz design at the 5th annual ‘Buluşma’ exhibition and shopping event, taking place at the BOBBIN Showroom, Nişantaşı December 18-21. Do not miss your rendezvous with Buluşma! 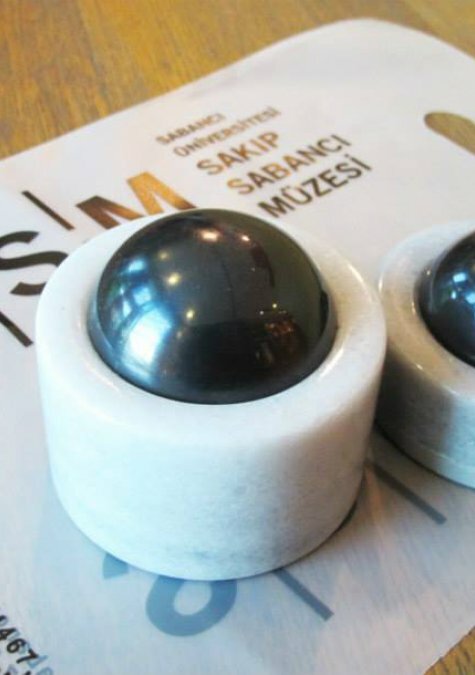 toz design accessories are now available at the Sakıp Sabancı Museum Shop! 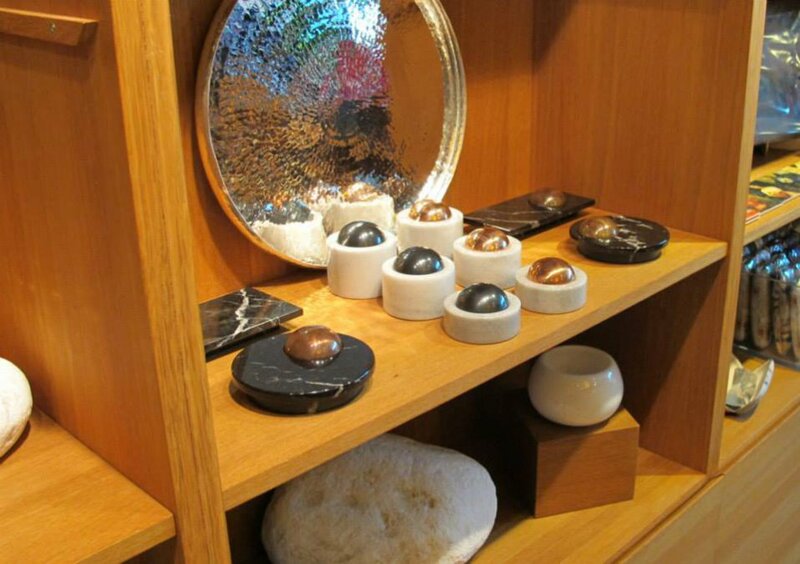 Selected to compliment the Anish Kapoor exhibit, the museum shop features toz design’s, copper and marble Dome and Domino candle-holder collection allowing guests to take a little piece of modern sculpture home with them. 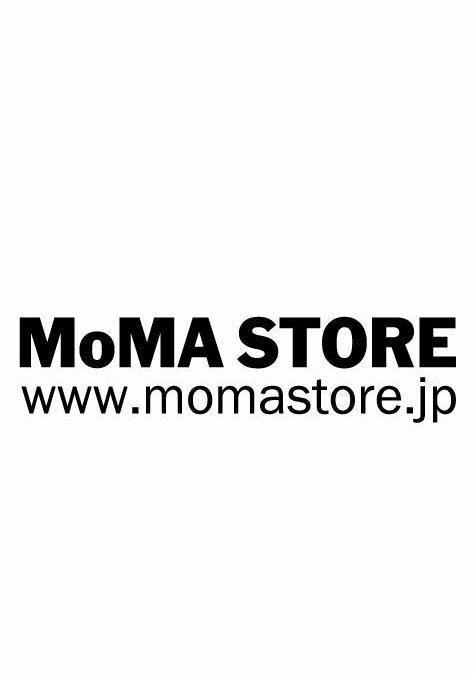 toz design's 'abacus collection' is a favorite of the (MoMA) Museum of Modern Art Design Store Japan. 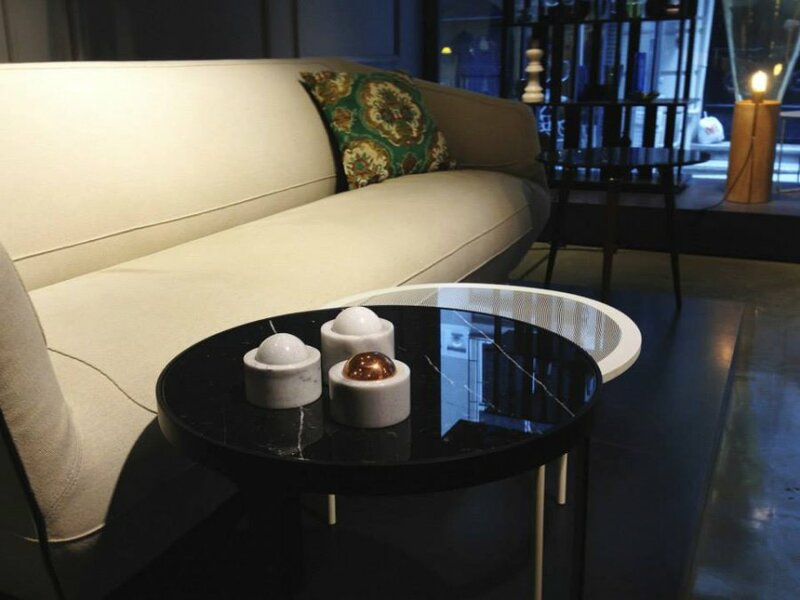 Dome and domino candle holders are now available at the gallery of fine furniture and accessories Archive, located at Galata Serdar-I Ekrem Street. 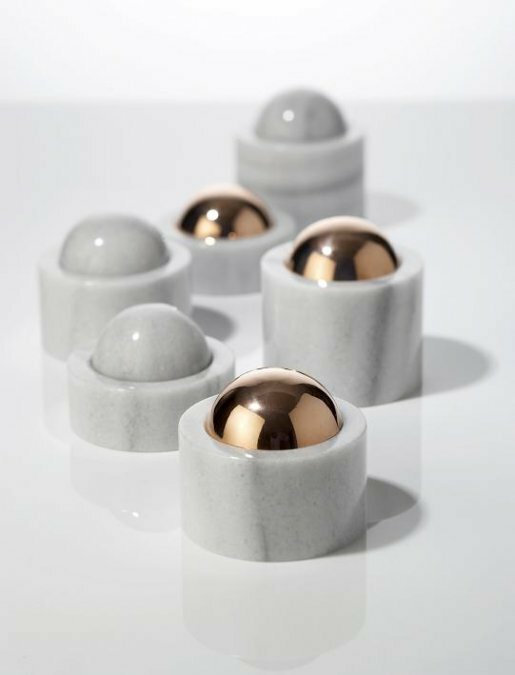 toz design have long been a fixture of the Istanbul Modern Store but now art connoisseurs and those who love online shopping can find all their toz favorites at the İstanbul Modern Online store. 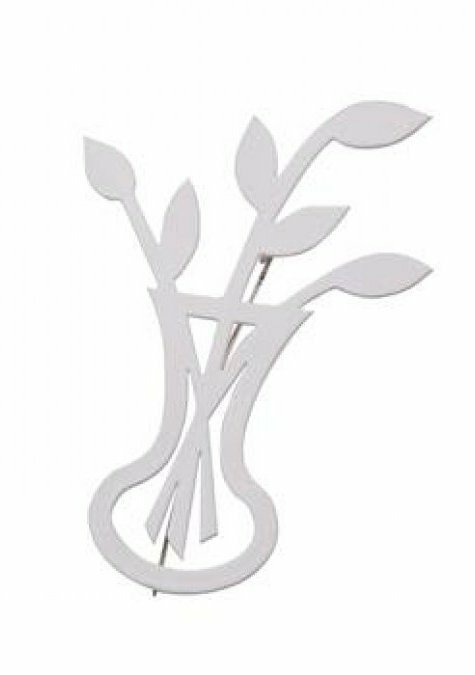 toz design products are now available online at the İKSV e-store. Leyla Taranto was among designers invited by Istanbul Foundation for Culture and Arts to create an exclusive collection expressing the theme of its 40th anniversary celebration. 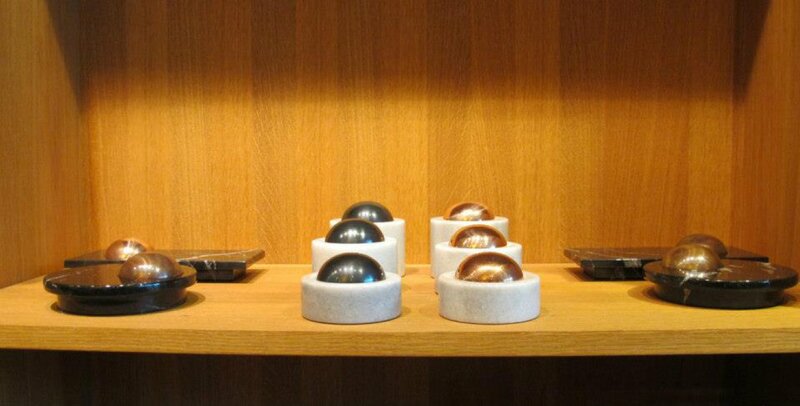 ‘Contact’ necklace, earring and brooch collection is at the IKSV design store.